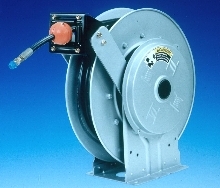 Spring Rewind Hose Reel operates at pressures to 3,000 psi. 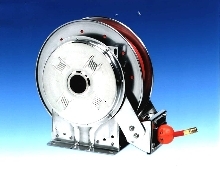 Featuring non-sparking separate ratchet assembly unit composed of machined, forged, and stamped parts, N700 spring rewind hose reel accommodates single 3/8 or Ã‚-½ in. I.D. hose. Standard inlet is 90Ã‚° swivel joint with Ã‚Â½ in. female NPT threads. Unit can handle product temperatures from -20 to +225Ã‚°F. 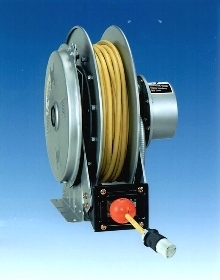 Hose Reel suits dual-hose applications. Hose Reels come in complete packages. Hose Reel Packages include hose and hose stops. They are offered in low, medium, and high-pressure models, with grease and lube reels up to 5000 psi. Oxy/Acy reel with twin hose and ball stop package is also available. 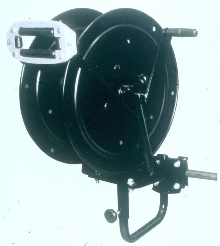 Electrical Cable Reel features compact frame.